I make no claim to be complex, but life can certainly get as demanding as a astrophysics textbook. 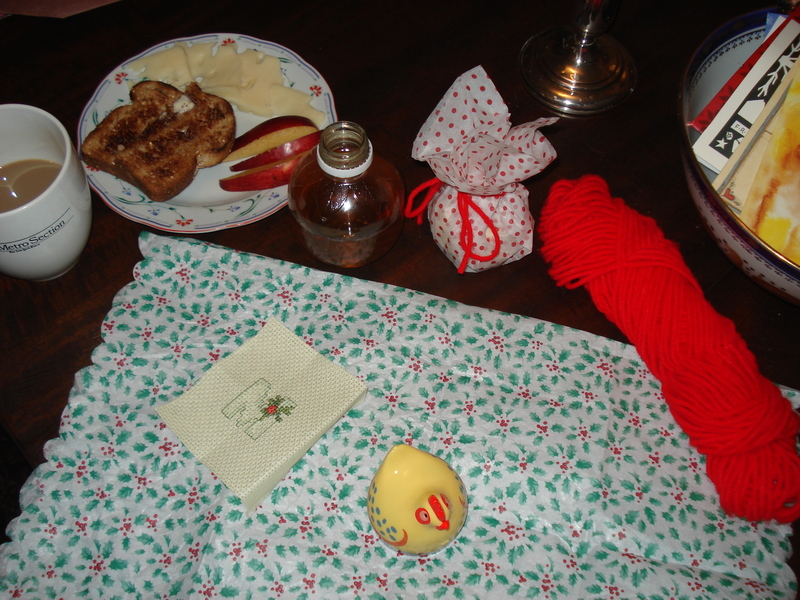 So, I’m indulging in my favorite comfort food: hot, buttered toast while I wrap a couple of small gifts for the colleagues without whom I wouldn’t be able to survive at work. 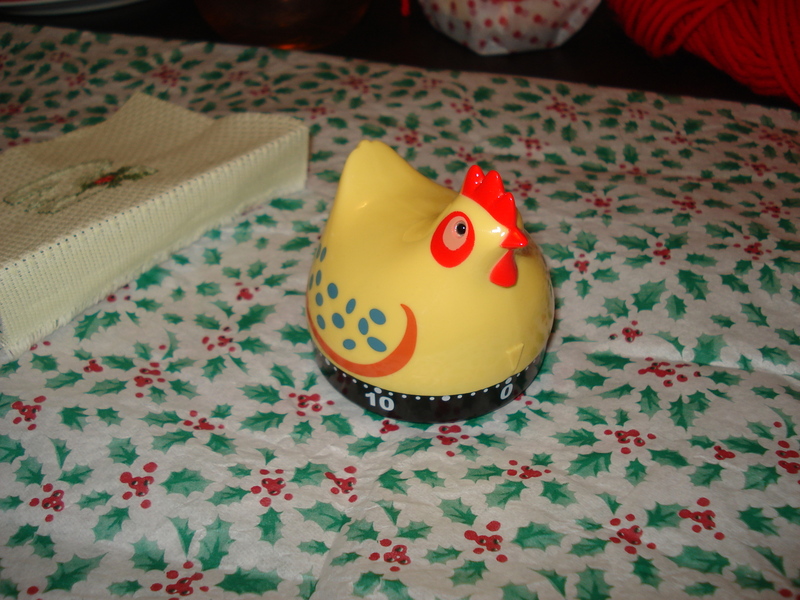 How cute is this kitchen timer? Thank you, Fish’s Eddy, one of my favorite stores on the planet. I can’t wait for one of my friends to try it; I want to hear this chick ring them bells! $12.95 and cheap at twice the price!